Italian cuisine has more to offer apart from the typical Spaghetti and Pasta. 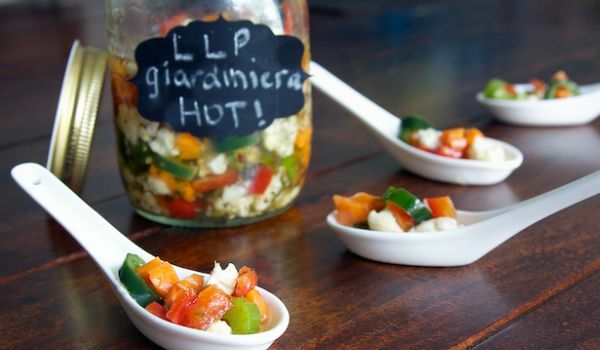 The Giardiniera is a form of pickle which is a good option for an appetizers. Place in a bowl the green and red peppers, jalapenos, celery, carrots, onion, and cauliflower. Stir in salt, and fill with enough cold water to cover. Place plastic wrap or aluminum foil over the bowl, and refrigerate overnight. In a bowl, mix together garlic, oregano, red pepper flakes, black pepper, and olives. Pour in vinegar and olive oil, and mix well. Combine with vegetable mixture, cover, and refrigerate for 2 days before using.